Phone Works™ Inspection Scope is rated 1.5 out of 5 by 6. Rated 1 out of 5 by Billy from Do Not Purchase The Ryobi Phone Works Inspection Scope does NOT work with all Android phones. I had a Samsung S4 when I bought the inspection scope and it worked fine but when I upgraded by phone to another Samsung and later an LG series it has not worked on any of them. That's a lot of money wasted and I wish I had never purchased it. Rated 1 out of 5 by lorimapa from Does not work. Does not properly connect to phone works app. WLAN connected but still no function. Useless. That's it for me with Ryobi. Rated 1 out of 5 by Ianc from Never ever worked I’m a tech guy and can usually trouble shoot most things... however ... the ryobi scope for iPhone I bought a couple years ago has never worked! I kept thinking I’ll figure out later only to put it away - should have returned it. No online supports or any pages troubleshooting the issues. Common Home Depot. Rated 1 out of 5 by Big Daddy Z from No work Bought some time ago. Tried once before to get it to work; it didn't. Need it today, got it work on the tool bench. Went to use it on location in house. Wont connect to wifi just will not work. The only product I ever got from Ryobi. Need to find someone else's inspection scope. Monument to Junk. Rated 4 out of 5 by Tallblondie92 from Works for me. Remember to connect to it's Wi-Fi Works for what I need it for. Remember to not leave batteries in it to leak. Also, remember to use new batteries, whenever possible (true for any electronics). Once it is setup, turn it on, connect to it's Wi-Fi, and start the app. Can organize your photos by project, my name. Setup can be a little difficult but once done, it is easy to use. Follow the manual for instructions. Rated 1 out of 5 by Cyberguest from Bad product Bought this morning. Installed and started the app. Couldn't activate, always has error "please try again later". Also, could not turn on the device. Replaced with new battery but same problem. 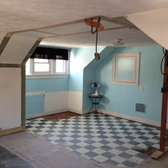 Inspect hidden spaces with more confidence and functionality than ever before. 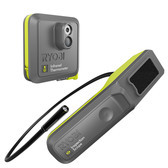 With the one-of-a-kind RYOBI Phone Works mobile app and Inspection Scope device, your smartphone transforms into a smart, wireless inspection scope. This unique device creates a dedicated wireless network that connects to your smartphone, and the free mobile app turns your phone screen into a high quality display of your inspection site. Mount your phone to the device, or use remotely up to 10’ away. With a 3’ submersible, flexible cable and ultra-bright, adjustable LED light for visibility in all kinds of environments. The mobile app allows you to capture images and videos and add voice notes. Easily share data through email and social networks. 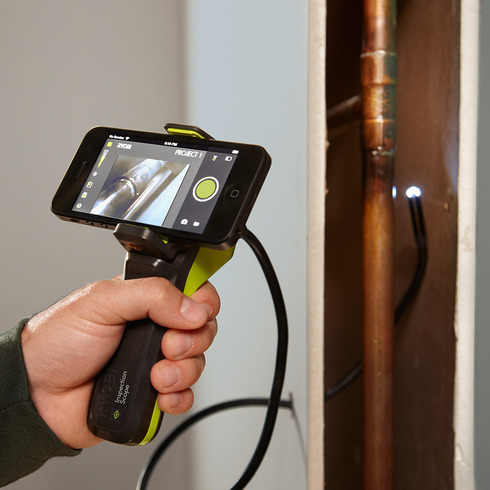 These cutting-edge features and functions make the Phone Works Inspection Scope and mobile app the smart way to get eyes behind walls, inside pipes, and other hidden structures. RYOBI Phone Works – Transform your phone into your smartest tool. Apple is not endorsing or sponsoring this product. Apple, the Apple logo, iPhone are trademarks of Apple, Inc., registered in the U.S. and other countries. App Store is a service mark of Apple Inc. The Android App on Google Play logo and Google Play are trademarks of Google, Inc. Provides visibility behind walls, inside pipes, and other hidden structures. No, longer cables are currently not available for this device. Can I remove the cable on this device? No, the cable included on the inspection scope is not removable. Where can I access all general Phone Works FAQs? To learn more about the RYOBI Phone Works product line, visit our Getting Started Guide.